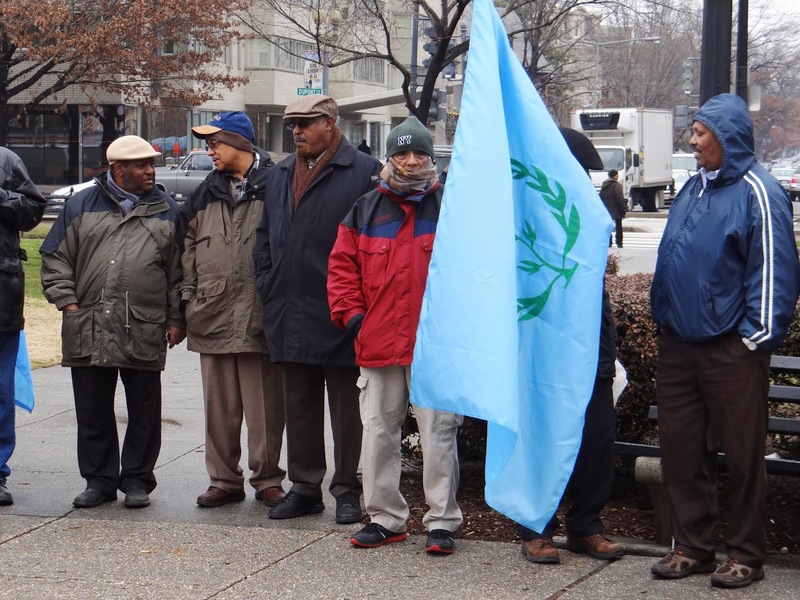 All Eritrean political forces and civic organizations claim that they are struggling to bring down the dictatorship and to replace it by a democratic alternative. What do these tasks demand? Are we ready to fill the gap in case the regime collapses all of a sudden? How have your party leaders been elected? How many new members have enrolled in your party during the year 2014? What was the size of the membership when you first enrolled into the party, and what is the current picture? Is the membership of your party growing? Does your party do regular evaluations of its members? What are the basis on which members are evaluated? Do you have regular purge outs (expulsions) from the party to clean it from opportunists and dead cells? Is there separation of power within the different levels of your party leadership? Are there checks and balances? How do you ensure that? How often do you review your party program? How reviews are done? Who does the reviews? What do you do daily as a party member to have the party program implemented? The above, hopefully, insightful questions will prove to each one of us, if he/she or his/her organization has had a real organizational life and has participated enough in the struggle to dismantle the dictatorship and replace it with a democratic state. All put in a single question: Is each political organization and collectively all political organizations are doing enough for future Eritrea and getting ready to fill the gap in case the regime collapses all of a sudden? I really doubt if most Eritrean opposition elections are free, fair and democratic. As a result of that, most political organizations do not seem to be managed by persons reputed for integrity, sincerity, commitments, honesty and principles. If there is free, fair and democratic elections, one person cannot stay for ten years or more in a position of leadership. As human beings, we should have a defined term of office for our leaders. For instance, US presidents are elected to a four-year term. The maximum number of full terms that a president can serve is two. It is due to the recycling of the same faces that new, dynamic, charismatic and inspiring would-be leaders, committed to the cause of the party (people), could not emerge into the scene and get popular throughout the opposition and subsequently the country. That is why there is hardly any opposition party that could gain roots among the masses back home or even in Diaspora. Political organizations should be schools that train young men and women in political work, raising them in democratic values while they fight for change and enrich their knowledge and experience (that is experiential learning or learning through the reflection on doing), preparing them for careers in the future Eritrean democratic state. It is here that members of the organization should learn and internalize fundamental beliefs (about life, liberty, personal freedom, common good, justice, equality, diversity, truth …etc) and constitutional principles that include rule of law, separation of powers, essence of a representative government, checks and balances in government, individual rights …etc). I do not trust these issues are the concerns of our political organizations. Totalitarian organizations (exactly like totalitarian states) are always run by people from one community (regional, ethnic, religious, cultural, linguistic…etc). Here the social composition of the political party should reflect national diversity in order to attract the people and emerge as a strong political force, earning the trust and the respect of the people. Where do our political organizations stand on the issue of diversity? Can’t we see this as a factor making us lag behind in the struggle to bring about change? In a democracy, people have their own views and the power to express themselves. They do not follow a party blindly. Can an individual think and be creative using his potential to the maximum when he/she is under control or surveillance or in a situation that makes him/her not better than a prisoner? The absence of this democratic value from our political life has resulted in rigidity and sluggishness, thwarting wider and meaningful contributions. The predominance of “Qalalam” and the failure to be open and critical, when we see shortcomings in our performance or when danger hovers over our heads, has done a massive damage whose magnitude many of us may not be able to see or realize. Our forty years of struggle has been characterized by this mindset of killing the truth and burying our heads in the sand like an ostrich. Saying “A spade is a spade” does not seem to be in our culture; a fact that might have made us fear to see the truth and speak it out. Unless this trend is changed, we will not go an inch up in the struggle to bring down the regime and replace it with a democratic alternative. We always say that politics of division or party politics of running like billiard balls, that has poisoned the Eritrean political opposition for decades, should end. But what should we do at local level and up from the bottom in order to end this state of affairs that has scattered our forces and prevented us from facing the reality in the country? We need to walk the talk by taking concrete measures to reverse the harsh effects of the past and work together to pull off the monster regime from its roots. The art of working together collaboratively for a common good needs the goodwill and the ability to compromise and barter. That will not be possible before putting each of our houses in order, clean, and compatible with the goals of the desired national change. As only putting a new paint is not enough to renovate a ruined house, the assessment we do should be merciless and meticulous enough to clean the house from termites, destroy the ruined walls, restructure the house in a meaningful manner (saving what should be saved and destroying what should be destroyed), and bring energetic, effective, honest, and visionary leadership at the top of each political organization. Through the internal changes we make in each political organization, we would create a fertile soil on which we could build the culture of trust, openness and creativity. We cannot use old and obsolete tools to implement new objectives demanded by the current phase of the struggle. The two are sharply contradictory to each other. To be able to establish democratic governance, the rule of law, and respect for human rights after winning political power in future, we need to learn from the experiences of the Arab Spring, which did not die out or become extinct, as some thought or seem relieved to believe, but are going through setbacks resulting from local counter-revolutions, aided by regional and international reaction that is ganging up on them, taking different disguises and forms. We do not have to reinvent the wheel or repeat the errors of the peoples in these countries when we could learn from their steadfastness, courage, and diversified techniques in the struggle against the counter-revolutions that will finally be defeated by the people, no matter when. There are great lessons to be learned daily from these movements, their successes, setbacks, and their unity of purpose to face the ferocity of the enemies on a daily basis. That pack of experience is greatly invalid for us as agents of change. But the question remains: Are we sufficiently monitoring and taking notice of details of the developments and the ups and downs involved? We need to be open enough to learn from the experiences of any human being, without any bias about where those experiences are originating from, but after critically assessing the relevance. Why the Eritrean opposition parties could not work together to the level expected? Is democracy evolving in the political life of these organizations? Are we ready for all eventualities in Eritrea? I would not say things have gone there yet. Of course, many people are feeling disappointed because their expectations have not come true yet. Nevertheless, we should not expect too much, given the fragmentation of the opposition forces and the unfavorable regional and international climate, but the question which imposes itself is: Did we make any leaps forward? I have so much to share, but as these questions are beyond me, I throw them back to the audience in order to elicit discussions at every home, at every public place, at every political forum …etc. I hope I was clear in presenting my views. Thank you for listening.